LG Mobile Phones has been rapidly expanding its business by debuting several new models in the mobile market. In North America, the company has positioned itself as a stylish mobile phone manufacturer. LG wanted to keep building on this when it launched the LG CF360 slider mobile phone, in conjunction with AT&T, on January 26. Objective: LG Mobile Phones has been rapidly expanding its business by debuting several new models in the mobile market. In North America, the company has positioned itself as a stylish mobile phone manufacturer. LG wanted to keep building on this when it launched the LG CF360 slider mobile phone, in conjunction with AT&T, on January 26. “The objective of this launch was to enhance LG's existing lineup with a feature-rich product that has exceptional capabilities,” said Demetra Kavadeles, PR manager for LG Mobile Phones. Idea: The launch was intended to showcase new features for the phone and its modest price. Its messaging was built around the downturn. “With the current state of the economy, LG continues to provide consumers with innovative, feature-rich handsets that are well-priced and competitive in the marketplace,” Kavadeles noted, echoing the launch's core message. LG segmented its target market into two demographics: the savvy and style-conscious set and the functional, feature-conscious market. Tools: The LG CF360 was launched both online at www.lge.com and in AT&T stores across the country. Media targets included those in trade, business, consumer, tech, and tech bloggers. The launch was covered by PhoneNews.com and CNET's gadget blog Crave, among others. The PR team offered media interested in reviewing the product a one-on-one experience with the phone. 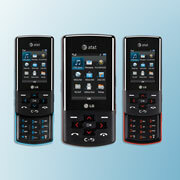 LG will also highlight this handset among additional ones at the CTIA-Wireless Association convention in April. Measurement: “Like all of LG's launches, success will be measured in consumer satisfaction and demand,” Kavadeles said.